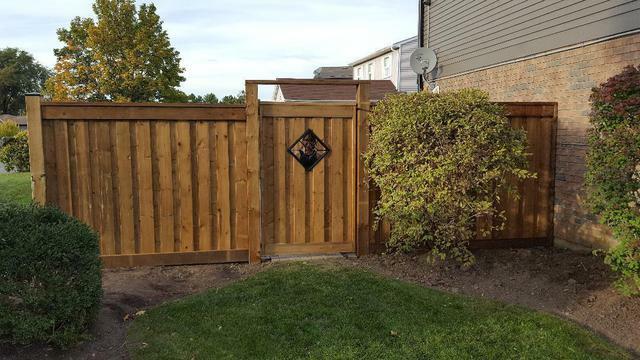 From the whole Team at CAN DO Fence & Deck we want to thank you for working with our Company and taking the time to post your feedback of your experience working with us! We always strive to offer the best install and service we can and always satisfying to know when we meet or exceed expectations! Thank you again from the CAN DO Fence & Deck Team! We were considering replacing our current interlocking porch and driveway for several years now. We started looking at potential companies this Spring. We entertained several estimates with varying costs and timelines. I came across Royal Stone on HomeStars. There were positive reviews and also the fact that they had a showroom made a difference. It is always a good idea to go in and actually see samples, products and speak to someone face to face. We visited the showroom and met with Mike. We gave us some options and provided us with some information. Mike came over the next week to do an estimate. Their estimate was higher than some of our previous estimates. We felt comfortable with our initial experience with Mike which contributed to our final decision. We decided later that same week to have our project be handled by Royal Stone. We visited their showroom one week after our initial visit to finalize the project. Normally they have a 2 - 4 week wait period. Fortunately for us Mike was able to schedule us in the following week due to a delay in one of their scheduled jobs. Locates were done timely. The material was delivered on Wednesday that week and the job was completed by Friday of the same week. Ken (worksite manager) and the crew was excellent. They descended on my property like ants and they all knew exactly what was needed to be done and worked from 7 in the morning to 7 at night. I was amazed at the work the guys did. Being a larger company they had excellent coordination of the material and equipment, trucks etc to ensure that the project kept moving along without delays. Mike and Ken was on site both days to get the job going and to check in on the progress with both the crew as well as us. Mike was great at answering questions and alieving our concerns. We were always able to reach him via phone, email or text. He came the next day after the job was complete to install our side entrance gate and even brought a few extra stones to be used as step stone for a short walkway to our back deck. We are pleased with he outcome of the work thus far. Many neighbours and passerby have commented on the work. Some people have took the time to stop and inquire with us as to the further details about the company contact information etc. Thanks to everyone at the Royal Stone Landscaping and Design Team. Thank you for taking the time to write a detailed and positve review. Mike and the team are encouraged by your kind words. I came across this company after visiting the Improve location in Vaughan. I met Alina there and had a brief discussion with her about our plans for updating our main bathroom. I had discussions with other companies on that day in August 2016. Alina was excellent in giving us a high level outlook on what we can expect. During the process of obtaining quotes from the companies we visited their showroom in Vaughan and met again with Alina and Jacinta. Huge show room with lost of options. Alina showed us around. We arranged for an estimate and Alina visited our home a few days later. We visited the show room again to discuss the estimate and decided then that we would use their company. We had reviewed other quotes prior. The project was scheduled to start in October. Serge the contractor was excellent. He knows his stuff and did a lot of the work within the 10 day period he was at our home. The project was completed on time and within budget. Alina and Jacinta was very helpful in helping us with choosing tiles, vanity and other fixtures. Alina was excellent in the overall managing of the project. Very impressed!!. The Electrician also did an excellent job. We even arranged for him to do a few extra small projects while he was there. We converted our tub to a shower and Serge was able to make the shower a little bigger and add a bench. 60 inch single sink Vanity and mirror looks great. Serge even did a small portion of our kitchen backsplash while he was here. After Serge was complete, Frank came in and did the Shower glass install within 10 days as promised. The bathroom looks great and sort of completes a huge renovation we had planned in our home's interior. Thank you to Alina, Jacinta, Serge, (Serge's assistant ... sorry forgot his name) Frank and the electrician. You guys made our experience pleasant, hassle free and rewarding. Keep up the Good work ! I have been using Andrew for the last two years and I think it is about time to write a review. We use Andrew for our Lawn and garden maintenance. He is a very down to earth guy who does an excellent job. He is punctual on cutting the lawn and maintaining all garden beds, shrubs and edging. He also make suggestions when he sees any problems. The property is truly professionally maintained. I have used Andrew in the past for removing and disposing of some shrubs and trees around my property. He does a good job on the fall clean up which makes the Spring a quick start up. His price is very reasonable. We have a corner lot and it has been a tremendous help for my wife and I in terms of the work that Andrew does. Many neighbors and passerby have commented on the manner in which our property is maintained. 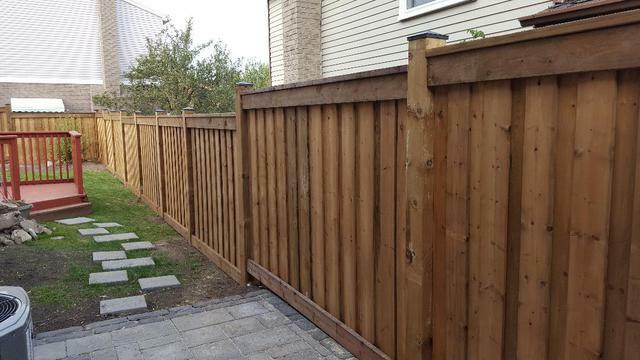 He also is quite willing to do other jobs like fence painting and deck and patio cleaning etc. Good Work Andrew. I can certainly say this line of work is truly one of your many callings ... I am sure. Keep up the good work and we will see you in the spring. I'm glad to hear that your are pleased with the work. I'm happy to working with you again this season. I saw Spray-Net advertised on TV and did some further research on the internet and on Home Stars. This company is franchised and contacted them in Early September for a quote. Was somewhat hesitant but my concerns were alleviated when my wife and I met with Yannick from the Markham Durham Franchise. He spent the time with us discussing our options, color choices and the costs involved and not to mention the 15 year warranty. We decided to use their services and decided on the Sable color. Yannick scheduled the power wash later that week and then the painting (weather permitting) the following week. The crew of 4 came buy early on painting day and taped up all the necessary areas, windows, eaves, soffit etc before the painting. The Painting went smooth and they even came buy a couple days later for a few touch up spots. My shutters also look great. This option was definitely cheaper than replacing the siding. The finish looks great. Thank you Yannick and the gang. With the other work we plan to do on our home's exterior the painting of the siding will look great. Hi Vijay, what a wonderful review! Thank you for entrusting us with your renovation and your home. We couldn't be happier to hear that you were satisfied with both the final result and the service. Thanks again and enjoy the new look of your home! I was referred to Stone River by my Garage Door contractor. I visited the Scarborough showroom where I met with Barry. Very down to earth guy who was very patient with all my questions. I was looking to replace our front and side entry doors as well as the door exiting my garage. Barry explained all my options and even did a quick estimate with the measurements I had. After reviewing a few quotes we decided to go with Stone River based on the product and timeframe they offered. We called up Barry and made arrangements to go in to the show room to finalize our choices. Barry was quite accommodating when he made a few adjustments. On September 26th Barry and the installer came over and did their measurements. We were given a 6-8 week time frame for installation which I was happy that was met. Susan at the head office ensured that the timelines were maintained. Installation day went well Calvin and Kyle worked diligently despite the very cold and windy day. Very friendly guys who were singing and humming while they worked. I was pleased with the installation and clean up. The doors themselves looks great and everything looks good so far. The entire experience was great. My concerns were alleviated when I met Barry and the gang. It was an important piece of my home improvement and I wanted a quality product that would be installed properly and a company who is committed to the products they sell. Keep up the good work! I visited the showroom in early September 2016 after looking at the reviews on homestars. I met with Kevin who took the time to answer my questions and present me with a package and some options for consideration. He even recommended a company for my main entry doors. On September 28th I emailed Kevin for a quote. He visited our home later that evening to discuss our options and provide a quote and made some recommendations. Very down to earth guy. We decided to go with Kevin after a couple other quotes and signed up with him on the day he visited. In three weeks the install was scheduled. Ryan came over early on installation date and completed the install very efficiently. He had to work around a couple other contractors who were at my home on that day as well. Robert phoned on install day and made arrangements to come over the next day. He came in completed the capping around the garage door, siding above the garage door and the capping around my front window. It all looks good and has changed our home's curb appeal. We are very pleased with our interaction with Kevin, Ryan and Robert (whom I did not meet as we worked when we were not home) P.S. Kevin you were right sources tell me that Robert did come over with "The Star Ship Enterprise" ;-) Keep up the good work guys.... will check you out when you open your Scarborough Location. Thanks for taking the time to write such a wonderful review. I am happy you liked the colours we chose together. We have just taken possesion of our new unit on Morningside Ave and we are renovating this winter to be ready for the spring. Feel free to come by and have a coffee if you are around this spring it would be great to see you. I contacted Patrick in the Spring and then again in the Summer to obtain a quote on replacing my roof shingles as well as soffits, fascia, eaves, downspout and add leaf guard. He was prompt and efficient in his quote. He quoted the job separately. We decided to go with this company based on their reviews and company history. The roof was scheduled for the first week in October and the Aluminum was scheduled for October 25th and 26th. The roofing guys did an excellent job. came in around 8:30 am and was done on time and did an excellent job cleaning up. My only issue was with the Aluminum work. I called two days before to confirm the job was on scheduled and was given the OK. On the first day of the job I had to call the office and then Patrick at around 10 am. when no one showed up. Only to find out that the job was scheduled for the next day. It was not a weather issue and no suitable explanation was given, not to mention no advance notice of the change. (I was told that I would have received a call by 10:30 that morning) Very disappointing at the time as it was a wasted day on my end as well, not to mention it also affected other work I had planned at my home. It was safe to say a bit more customer service was required here. In any event the gang showed up the next day around 8:30 am and worked till about 7 pm. They had to come back the next morning and finish up a few loose items. (a relief as I thought the remainder of the work would have to be rescheduled) I am pleased with the work so far. If I am to make a suggestion: This type of work is often scheduled well in advance. A much needed improvement in customer service would be a courtesy call to the client the day before as a reminder of the upcoming work. Serves to confirm things are on track barring any unforeseen situations. This was lacking for the roofing work and the Aluminum. I had to call to confirm. Thank you kindly for sharing your thorough experience with us. Your concern about our customer service has been noted and we hope to be making changes in the near future to the way we respond to unforeseen schedule changes. Once again thank you for being thorough. Patrick and everyone else at Professional Roofers wish you a great day. I have been a Buttons customer for the last 3 years. Back then we had replaced our Furnace and Water Heater. Todd an John did an excellent job with the installation back then. I have continued to use Buttons for my yearly service on the furnace. I called Buttons to get a quote on replacing my old AC unit. An appointment was set up with Todd a couple days later. We new we were going to use Buttons for the replacement as it was never a question about the service and reliability of Buttons. Todd provided all the information we needed to make a "non pressured" decision. We gave the OK and the Unit was installed 3 days later. The installers came in on time and took all but 3 hrs to have the ne unit up and running. They explained a lot and answered all my questions. Thanks Todd and the Buttons crew for a job well done. Keep up the good work. Thank you for the awesome review. John and Todd are two of many key “players” in our company who receive great praise continually. All of our Comfort Consultants offer a “no-pressure” presentation to discuss equipment options, rebates, discounts, etc. We are happy to hear that we were also able to install the new air-conditioner in a timely manner. Taking your advice on “keeping up the good work” will be easy for us…we are unaware of any other way. Thank you again Vijay...from Team Button’s! We decided to change from carpet to laminate in our bedooms and oak on the stairs all the way to the basement. We obtained a few quotes which included Ideal Stairs. The first call to the office began our plesant journey after speaking to Jenna. Mesh was able to come over that same evening and povided a quote for the stairs and purchase and installation of laminate in the bedooms. We visited the showroom a couple days later and had a very plesant customer service experience with Jeanna. We also found another laminate that we liked for the basement at another supplier. Rajan came over and provided an estimate for the entire job which included the installation of the laminate in the basement. We proceeded with the job. It was scheduled for later in the next week. The entire job took about 5 working days. The workers were punctual and skilled in what they did. They took care and cleaned up at the end of each day. Mesh and or Rajan came over every day to check on the job. They kept us in the loop. It was always easy to contact someone and calls were returned promptly. There quote was what we paid and also included the underpad, baseboards, all oak stairs and risers and handrails. Rajan even added the 1/4 round afterwards for the basement at no additional cost. The stairs and the laminate looks great. We are pleased to get rid finaly of carpet and even more pleased with the work that Ideal Stairs did. We would definitely reccommend friends and family.Thanks to Rajan, Mesh, Jenna and the 3 guys who did the work. Keep up the good work. Thank you Vijay for your recommendation and a detailed review. It was a great pleasure to have spoken to you, and your wife at our Showroom and over the phone. We are extremely happy that you are satisfied with our service, and we hope you are enjoying your new stairs and flooring. On behalf of Mesh, Rajan, our team and I, we would like to Thank You for choosing Ideal Stairs as your company for home improvement. Kindly pass along our name to any friends and family who may be interested in renovating their stairs and or floors. I had to remove two older trees in my backyard and had been putting it off for some time. I called other companies after checking homestars. Andrew responded that weekend with a quote. There was a slight delay in setting up the appointment but since my job was not urgent I did not mind. He came over at the date and time we set. Alan was first to arrive and started the work while Andrew, his dad and a another worker (sorry can't remember his name) folllowed shortly after and assisted. Alan was excellent. He new what he was doing and ensured that the branches did not fall on the fence, the neighbours property as well as other existing structures. They removed two trees down to the stump, A large shrub and trimmed my lilac bushes that was hanging over into the neighbours property. The clean up was impeccabable. 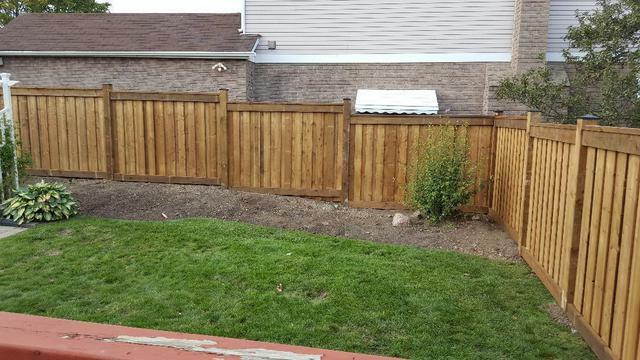 Andrew's dad even ensured that the twigs and leaves that fell across the fence into the neighbours yard was cleaned up. The took about 2 hours. I was pleased overall with the punctuality, price and quality of the work. I would like to thank them all again. It was a pleasure to work with them. It is excellent when a contractor can get a job done by doing exactly what they promised they would do within a reasonable timeframe and good price. I will surely use/reccomend them again in the future if required. Great Job Guys! Our over the range microwave oven was not installed properly. It was supposed to be venting directly outside but it was venting partially inside as well. I called a couple companies and many did not deal with the installation issues. One person quoted me 5 times the amount that I paid to Owen and another was giving me a date 2 weeks in the future. Owen's business is Scarborough located. I called him around midday and he was actually in my area at the time but I was not at home. He agreed to come over at 6:30 pm that evening when I was available. He found that the original installation was not vented properly. He corrected the situation in less than an hour. He is a cool guy, easy to talk to and down to earth. Price is reasonable. Will consider Owen for future needs. Thanks! The appointement with Jeremy to obtain a quote was scheduled in a few days. Jeremy answered all our questions and provide a written estimate. We had requested the insulation to meet R50 standards as well as our attic hatch needed to be insulated. In addition arrangement was made to have their handy man come over on the installation date to add a roof jack to vent our bathroom fan more appropriately. The price was reasonable, a bit higher than others but it was the only company who wanted to actually come over and look at the work required and provide a written estimate. The other companies preferred to give an estimate over the phone. I did not want any surprises on installation day. Installation date was scheduled for an afternoon installation on Feb 6th 2012. I called on Friday Feb 3rd to confirm the appointment time. Here is the reason why I am rating my satisfaction at a 9. The installers showed up at 8:30 am on installation date (originally scheduled between 1-4 pm). Luckily my wife had not yet left the house and was able to get the guys started. I would have appreciated a call to advise of the change. I welcomed the earlier appointment but would have appreciated a heads up as we had made prior arrangement for time off from work etc. However, overall was pleased with the work done and the manner in which it was done. Despite the mix up in time we felt the difference due to the attic insulation right away and it contributed a whole lot to our improved air sealing. I would reccommend this company to family and friends. While visiting Our Homedepot I came aross the Trane/Button's advisor. I asked a few questions and agreed to have Pete come over to discuss our heating needs and how we could take advantage of some of the Government rebates. Pete phoned the next day and my wife and I made arrangements to meet the following day. Pete was great. Very knowledgeable, prompt, open to our questions. He answered all our questions. He knew our needs and our budget at the time. I did not feel pressured. We decided to proceed with the Trane Xc95m and made arrangments for the Energy Audit and the subsequent intallation a week later on Jan 23rd 2012. Todd and John showed up bright and early Monday morning shortly before 8:30 am. That was a good start in my books. They worked continously and was always willing to answer my questions as the worked progressed and did not mind when I critiqued their work ;-). There work was neat and tidy, wires tucked in neatly, drop clots laid, and the work area cleaned up after the job. They both would keep me in the loop as they progressed and pointed out import details that like the dirty, AC coils which they cleaned etc. Todd inquired about our Water heater which was almost 14 yrs old. We discussed the possibiltiy of replacing it. We ended up replacing our 40 gallon tank at the same time. The guys took the time to explain the new system and pointed out all the changes that were made. I was quite pleased with the whole experience and look forward to using Buttons for my yearly maintenance and warranty services. The price overall was somewhat higher than normal but I went with the TRANE reliability and the Button's experience in the business. Their years of experience and the fact that it was a family run business did show through in all aspects of the job from the start to the finish. I look forward to seeing the benefits/savings of my new furnace and water heater. Thanks Guys!!! !